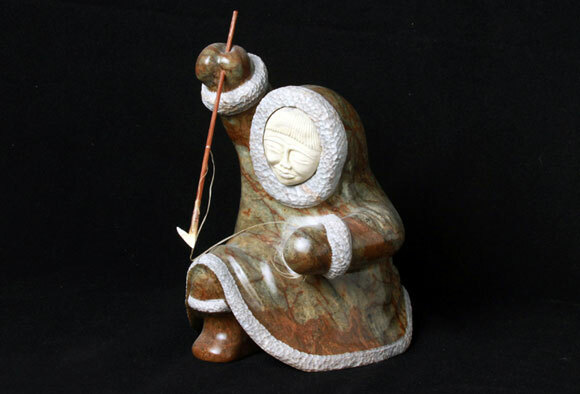 7250- Eskimo HUnter KNeeling — Douglas Creek Sculpture Co. Hunting to the Inuit is both survival and near religious experience. A traditional Inuit hunter prepares to provide for his family.